Last week, buzz began circulating about a new, unconfirmed music streaming service for BlackBerry Messenger, which was believed to be an initiative to grab some of the currently white-hot mobile music streaming market. On the heels of Spotify’s impressive US launch, a partnership between MetroPCS and Rhapsody and Rdio’s new unlimited family plan for music streaming households, it was believed that RIM would launch a kind of hybrid streaming/social music initiative allowing users to stream and share tracks through BlackBerry Messenger. RIM refused to comment last week, but confirmed the service on Thursday and gave some official details on cost and functionality. BlackBerry Music debuted the same day it was announced, at the bargain price of $5 per month for users. 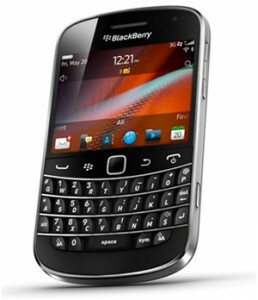 It will be included on phones released here on in, but existing BlackBerry users can download and install BlackBerry Music to their phones if they plan to utilize it. While the price is relatively cheap- about half what it costs to stream competitors Spotify and Grooveshark- the service falls somewhat flat as a serious option for music streaming consumers. For their $5 a month, BlackBerry Music users will be allowed to select 50 tracks per month to stream- and can swap out 25 of those tracks each month for different ones. Considering the fact that other services don’t impose the same limits- the number of tracks roughly equals four albums- the service may not be very much of a value add to BBM users. The app based streaming music service will be available in the US, the UK and Canada.